Starting from its southern terminus in Gaylord, the trail ventures north through Vanderbilt, Wolverine, Indian River, Topinabee and Cheboygan. It then heads west along the Lake Huron shoreline to Mackinaw City. 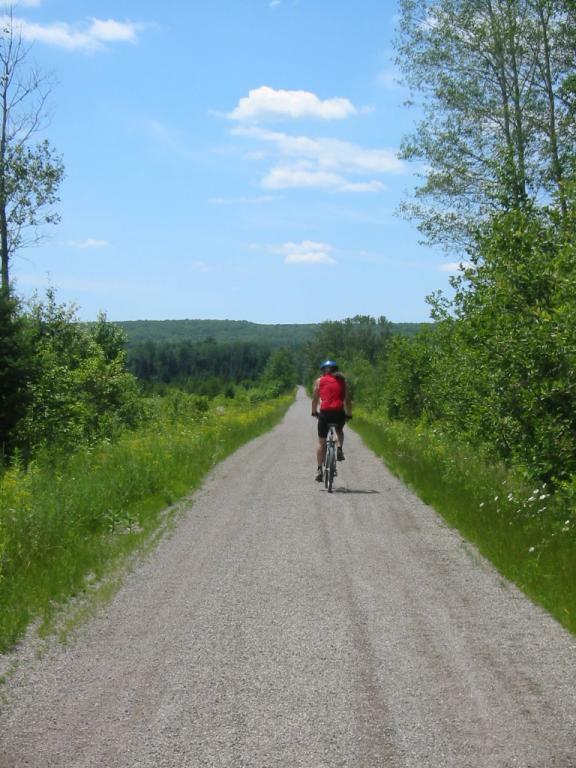 The surface is a compacted limestone that is suitable for virtually any bicycle tire. Its uses include not only bicycling but also walking, horseback riding, and in the winter snowmobiling. Trailheads in Gaylord, Vanderbilt, Wolverine, Indian River, Cheboygan, and Mackinaw City. www.northcentraltrail.org.